Juan D. Bendeck is certified by the Florida Bar as a Board Certified Specialist in Wills, Trusts and Estates. Board certification recognizes attorneys’ special knowledge, skills and proficiency in various areas of law and professionalism and ethics in practice. 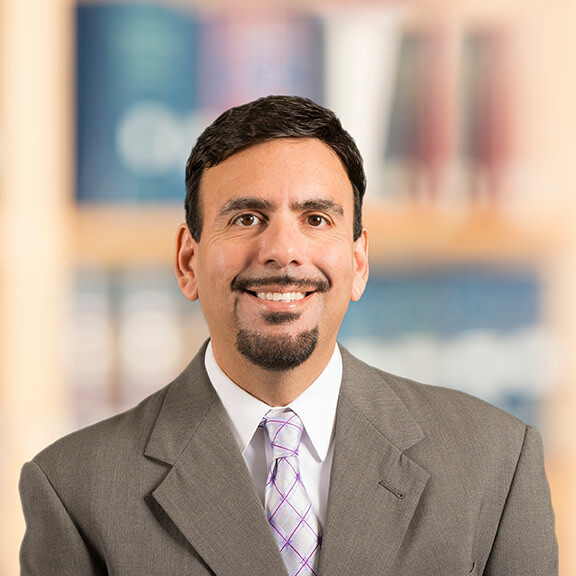 Juan focuses his practice in estate planning, estate administration and asset protection planning. He formulates and drafts tax-efficient estate plans for his clients, including more advanced and novel estate planning techniques geared toward lessening estate and gift tax liability. His practice includes the administration of complex wills and trusts. Additionally, Juan works with physicians and other professionals interested in asset protection planning. Juan also assists his clients with the creation of entities, such as corporations and limited liability companies, for various reasons, including new businesses or liability protection. Juan is a lifelong resident of Southwest Florida and is actively involved in the community. He is on the board of directors of the Southwest Florida Community Foundation, the Naples Zoo, Goodwill Industries of Southwest Florida, Inc. and the Florida Humanities Council. In addition, Juan is chairman of the Planned Giving Committees at Florida Gulf Coast University and the Conservancy of Southwest Florida. In 2008, Gulfshore Business magazine selected Juan for its “40 Under 40” award. The award is presented to the most influential rising business stars in the Southwest Florida community. Juan and his wife, Enas, are one of the few couples to have both won the award. University of Florida, B.S., Economics, Highest Honors, 1992.